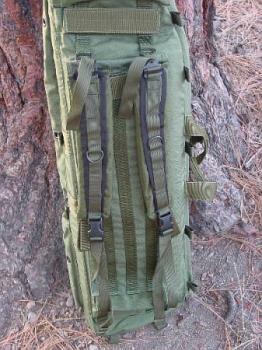 Well I decided to go ahead and purchase a “manufactured” drag bag/carry case for my bravo-51. 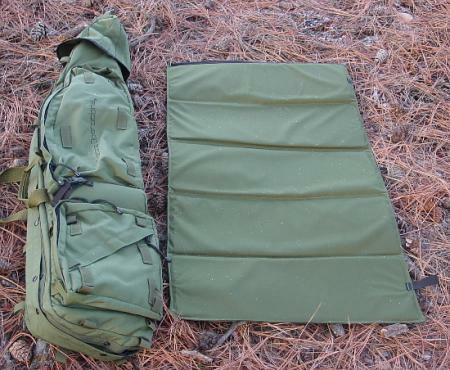 The drag bag I currently have is exactly that, a drag bag that I hand construct when I build my ghillies. I wasn’t looking too hard for one when out of the blue Tactical Operations asked if I wanted to review one of their new drag bags. So, the timing was just right, so I agreed. 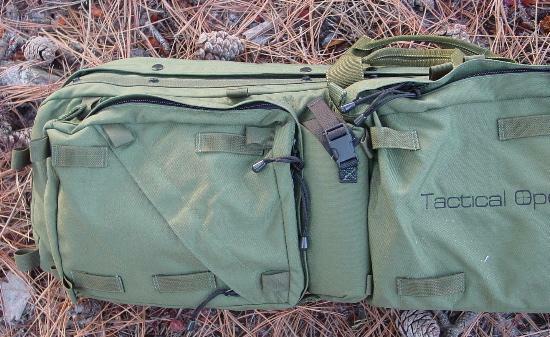 Like all the higher end drag bags on the market today, the tac-ops bag has plenty of external storage space with large pockets, and several of them. There are several different sizes and storage arrangements that make it very functional. Also, there are several loops and contact points to attach camouflage (natural veg, burlap, netting, etc etc). The underside of the bag is lined with strips of heavy duty canvas to help while dragging. All pocket flaps (on the underside) are arranged so they do not catch on anything while being dragged. The shooting matt is stored in a large pocket on the underside, and there are shoulder straps with quick detach buckles. The straps store in their own pockets for when you are dragging the bag. The Tac-Ops bag is several inches shorter then other bags like Eagle. 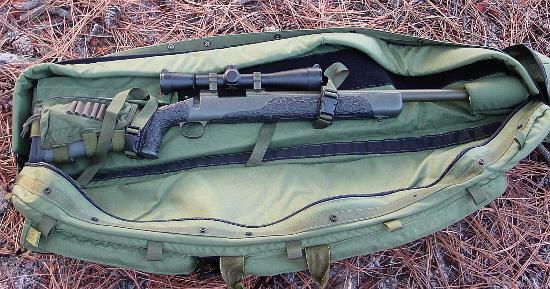 It was designed to fit a rifle with a barrel 26″ max. My Bravo has a 22″ barrel and it fit well, and it appears that a 24″ barreled rifle is perfect, and a 26″ will fill it all. Of course, rifles with a LOP greater then standard and a long barrel it will be border line. The really nice part of these bags is that there is a large barrel housing/holder. This prevents the barrel from flopping around, and protects it nicely. This has been a complaint of some people with the Eagle bags. Overall, the fit was great for my bravo and a few other rifles I tried. Just be careful if you have an overly long rifle. My overall impressions of the bag were good enough to just buy the bag that was sent for eval. The price is a bit spendy at around $300, but hey, you get what you pay for these days. The construction quality is excellent, and a lot of thought went into the bag to make sure it was a functional bag for its intended use. I’ll keep everyone posted on the long term durability of the bag as I use it. Do you have any updates to this article? I provided an update that they have since made additional changes to the bag with some more features. Durability has been good. We still use the bag weekly and it still functions very well.